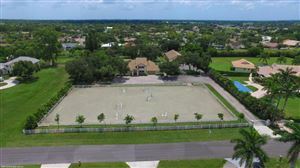 GREAT EQUESTRIAN PROPERTY with beautiful 5BR/2 full and 1/2 BA house with large living room and unique fireplace. Marvelous dining room and office as well as modern kitchen with cooking isle and breakfast area. Lanai overseeing the new riding ring and paddocks as well as the CBS European style barn with oversized stalls (14x14). Also ''older'' 2 stall + 2 room CBS barn now used as storage. Fenced oversized solar heated pool. Canal waterfront ensures irrigation covering whole property always has water. Conveniently located within hacking distance to showgrounds and close to bridle path.STALLS ALSO AVAILABLE FOR SEASONAL RENT $2,000 per stall/month MINIMUM 3 MONTHS. 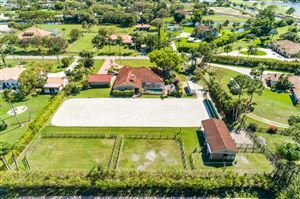 Fantastic turnkey equestrian facility ready for you and your horses this season. Lovely 5 bedroom 4 1/2 bath two story home . Pool and patio look out over the barn and RISO arena 220x115. 9 stall barn with tack room, feed room, and storage room along with a grooms apartment. 5 grass paddocks nestled under large trees offer peace and tranquility away from the show. The property is very private with a separate barn and trailer entrance. Reverse osmosis system , impact windows on the 2nd floor. Short hack to the show, don't miss this opportunity! 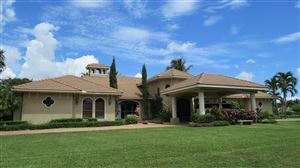 Private 2.83 acre waterfront home surrounded by lush tropical landscaping with breathtaking views. This serene property is situated at the end of a private cul-de-sac in Paddock Park 2, one of Wellington's most desirable locations. 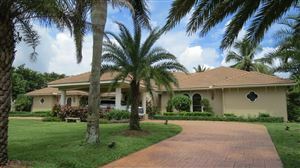 Featuring a pool, covered patio with accordion shutters, outdoor kitchen, pond & private dock, perfect for fishing. Property has a small tree farm & qualifies for an agricultural exemption. Plenty of room for a barn and right next to the bridle path. Many upgrades including gourmet kitchen perfect for entertaining with granite countertops & backsplash, flat cooktop, double dishwasher, microwave convection oven & center island. **Click More/Supplement for list of additional upgrades & features. 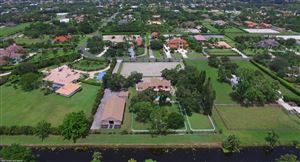 Please view the Property Tour, 3D Tour, Town Video & Aerial Photos. 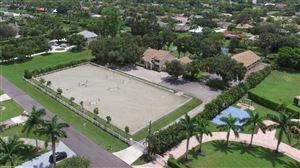 Well designed and fully appointed Dressage farm located in a peaceful setting at the end of a cul-de-sac. 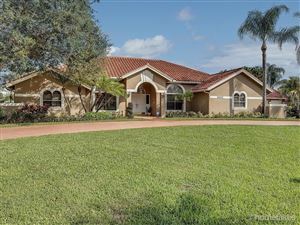 The home has upgrades throughout including; crown molding, an abundance of French doors leading out to an oversized screened enclosure with pool, spa and covered patio area, an open kitchen with breakfast nook and gorgeous marble countertops that overlook the family room and a wood burning stove fireplace. The home also boasts a formal dining room and living room, a separate office, 3 guest bedrooms and a large master suite with a beautiful marble bath with Jacuzzi, dual sinks and a glass shower. 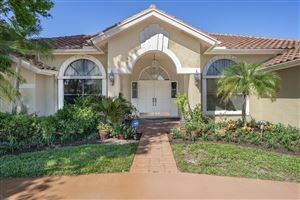 There is a separate Florida/Bonus room that can be used for staff housing or a mother-in-law suite and a free standing 3 car garage with plenty of storage.